Although we’ve made a TON of progress around the stigma of mental health, we still have a lot more work to do. Today I’m going to talk about some of the most common things I hear from people who are resistant to therapy and treatment. My hope is that if you have ever said any of these things, that you will reconsider taking care of your mental and emotional health. It’s imperative that we stop the stigma so that those who need help can get it….without fear of condemnation, shame, or judgment. Contrary to popular belief, the people who walk through my door for counseling are not crazy. In fact, many of my clients come to therapy to help them avoid losing control or feeling crazy. Sometimes therapy works as a preventative, or proactive approach to mental health, versus just being a reactive way to address problems. You don’t have to have depression, anxiety, or a clinical mental health diagnosis to attend therapy. Sometimes “life stuff” is just hard, and it’s helpful to talk it through to gain perspective. Some of the most important work I do with clients is about boundary setting and managing relationships. Sometimes we talk about ways to manage stress. Sometimes we do talk about trauma, PTSD, and depression. All of this to say, therapy can be helpful for a wide range of problems. You don’t have to be crazy to get help. This is a great thought. It really is. But how do you help yourself when you’re not 100% sure what’s wrong? And if you don’t know what is wrong, you definitely don’t know how to fix it. This is how therapy can help you. Therapists are trained to identify patterns, mental health issues, and maladaptive behaviors that are just not working for you. Sometimes it’s impossible to see these things within yourself. This is why even therapists need therapists. Sometimes we can’t even help ourselves. Or maybe we know what we need to do, but we need accountability, or to look at our problem(s) through a different lens. If the professionals need professionals, you’re probably not going to be able to fix yourself. Well, this is just plain false. If you’ve never experienced depression, anxiety, or any other mental health issue, you are blessed. Truly. But for those who have lived through a season (or a lifetime) of depression or anxiety, you know it’s real. Or if you’ve lived with someone who has battled depression, you know the toll it takes on not only the person but also your relationship with that person. Depression makes everything hard. 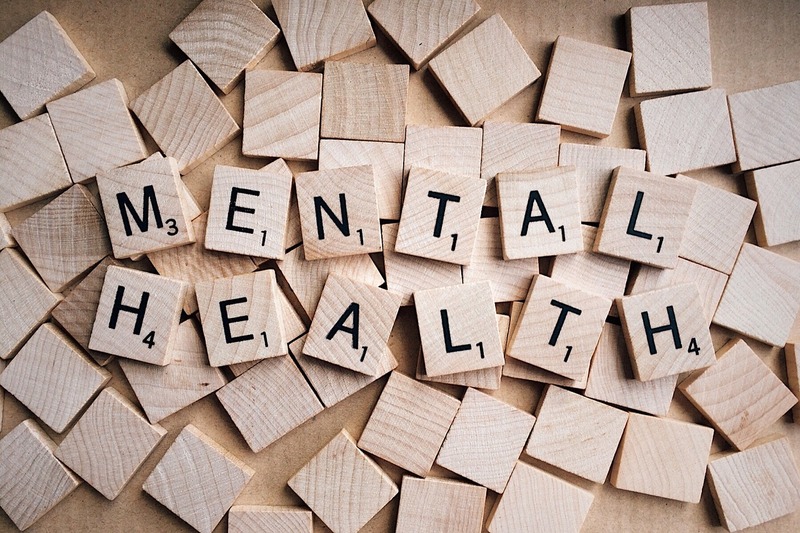 According to the National Alliance on Mental Illness (NAMI), depression can be caused by genetics, trauma, a life event, a change in the brain (chemical), and other medical conditions. Depression is a real, scientifically proven medical condition. Brain scans show us the toll that depression can take on a person’s brain. The science is there, we just don’t talk about it enough. Good. Now let’s talk about your quality of life. On a scale from 0 to 100, how much do you feel like yourself right now? What does “functioning” really mean? If functioning means you go to work, but come home, lay on the couch, don’t cook, clean, or maintain your home, then are you really functioning? If getting through your workday takes every ounce of energy, but you don’t have anything left for your family, are you really functioning well? We have to change our perspective on what it means to function “well”. When you lose the ability to do day-to-day things, you aren’t really functioning. Taking care of your mental health means improving your overall quality of life. Being healthy means that you are able to go to work, have meaningful relationships, and take care of all of your responsibilities. It means you have joy. If you are missing out on life because of how you feel, reach out for help! Rock bottom is scary. It means you are at the absolutely lowest of lows. You don’t have to hit rock bottom in order to take care of yourself. When we talk in terms of rock bottom when it comes to mental health or addiction, please know this can mean death or serious harm to yourself. Don’t wait to hit rock bottom, because there is no guarantee that you will be around to bounce back. Be proactive in taking care of yourself. Seek out help before you get to your lowest low. Don’t wait until you are in a place of crisis before taking care of your mental health. You are absolutely worth it! Well, again false. I may be a little biased, but therapy absolutely works. However, your attitude when you start therapy will make all the difference. I always tell clients “You will get out of this what you put into it.” If you come into therapy with some hope, and a willingness to learn, you will benefit greatly. If you come into therapy with a negative attitude, and one foot out the door, it probably won’t work for you. Many of us were raised to believe that we don’t talk about things. It’s easier to sweep things under the rug, or just ignore them until they go away. The thing is, some things just don’t go away. Childhood traumas can reappear when you become an adult. The marriage you witnessed growing up becomes the model for your own marriage (like it or not). If you were bullied, teased, or felt you weren’t good enough, the shame you felt often impacts you into adulthood. You can’t just ignore these things. If you are reading this, and realize you may need help, please reach out. My hope is that this blog has empowered you to look at mental health through a different lens. Don’t continue to perpetuate the negative stigma.